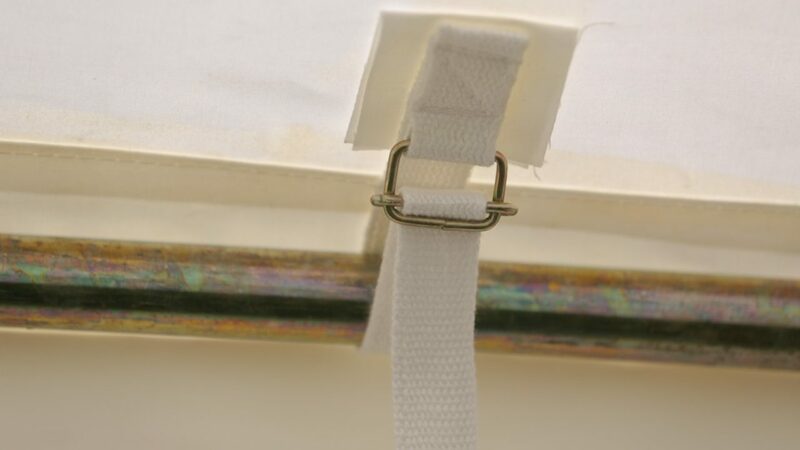 If making your own frame, we recommend getting pole clips. 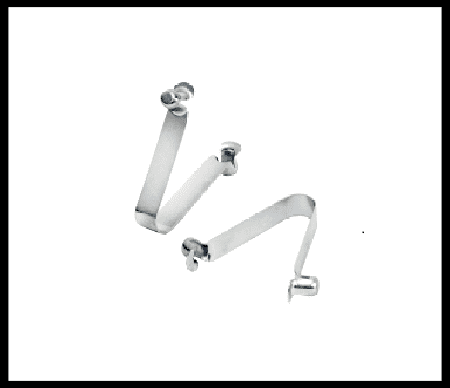 These help with assembly and keeping your poles in the correct location. 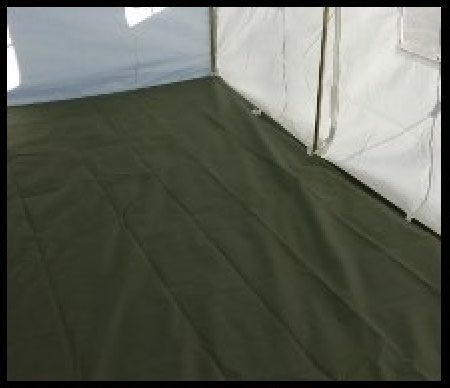 After many months of comparing the many different tents on the market, I went with Elk Mountain’s 13×16 tent because of the composite material, the value, and the customer service. I have used it for the past two years on extended Elk hunting trips in Colorado’s high country. Easy up and easy down. Plenty of room for the group and all our gear. Both years, it has withstood high winds and heavy snow with ease and with no sign of seam damage. The things I appreciate most is no built up condensation inside and how fast it dries. Now my hunting partners and I are thinking about picking up a smaller one for our cook shack. Had some reservations prior to purchase based on reviews, mostly related to sweating inside the tent. 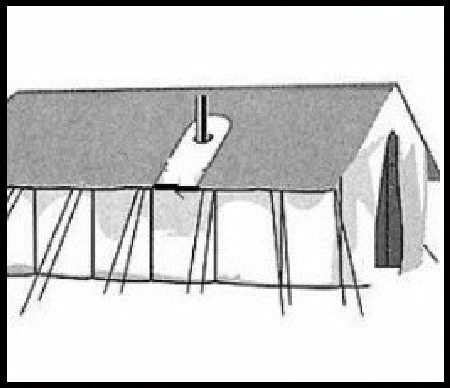 My thought was that with 6 windows and well vented eaves if someone can’t keep this tent ventilated that is more their fault than the tent. Coupled with a collapsible pack stove this tent is awesome! I wonder if the folks with the sweating issue were trying to heat with propane rather than wood. My only regret with this tent is that I waited so long! I have been very happy, my elk camp buddies have been very happy. 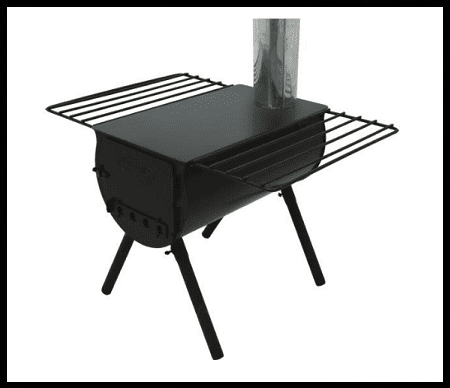 Easy to set up, stands up to the elements and the 13×16 has plenty of room for 3 large cots, wood stove, cooking table and a card table. For the price these Elk Mountain tents have no equal in my opinion! I bought this tent in 2015 for a hunting trip. Last fall there were four of us in northern Manitoba we had over a foot of wet snow and the tent stood up to it. 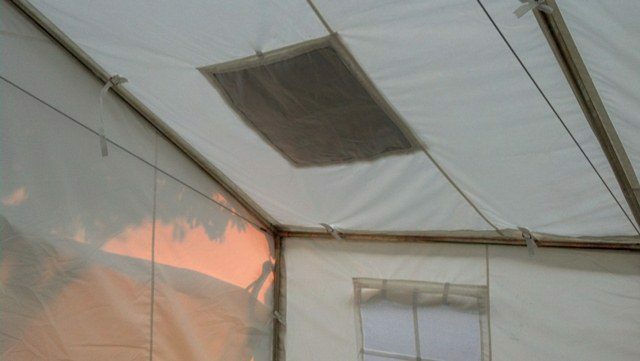 excellent tent. 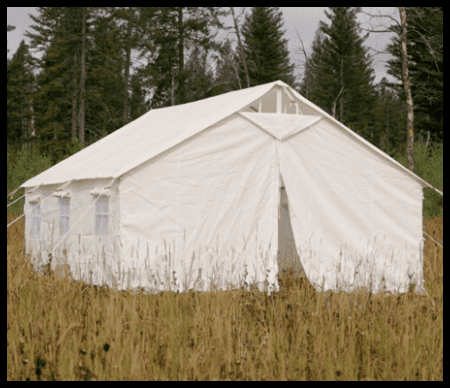 I was on the fence for a long time about the cost of a canvas tent. I looked at every brand I could find and read a lot of reviews. I finally decided on an elk mountain because of the lower cost because you make your own poles and they also had the most features included at the base price that every other brand was extra for the upgrade. Couldn’t be happier with my purchase!!!! The family absolutely loves this tent! 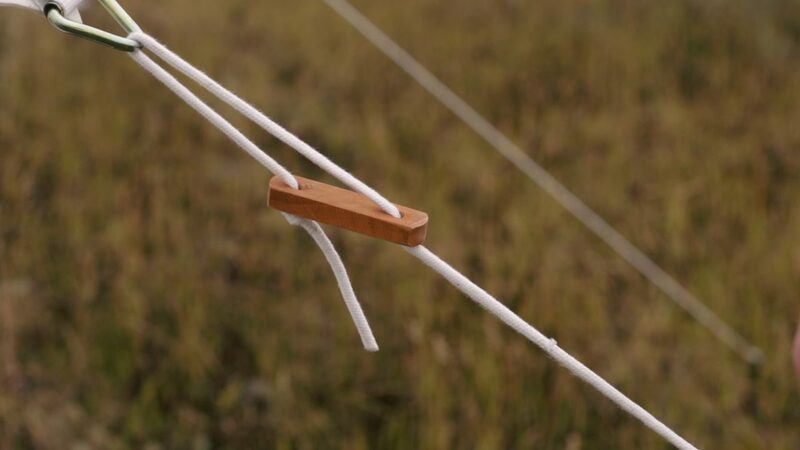 Super easy for me and my young boys to setup because of the light weight and cabled pole system. Plenty of room for my wife, 5 kids and I. One of the best features is the bag that the tent actually fits into! 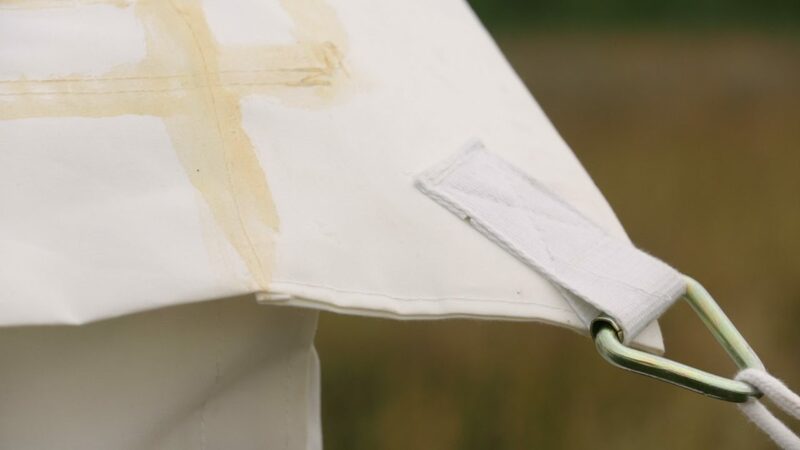 I purchased this tent for an elk hunt and it was an excellent purchase. 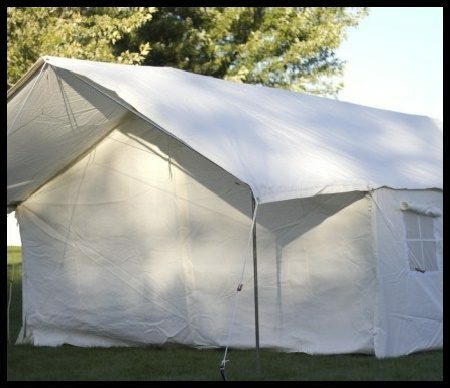 Compared to other tents I looked at it was a higher quality for less money. 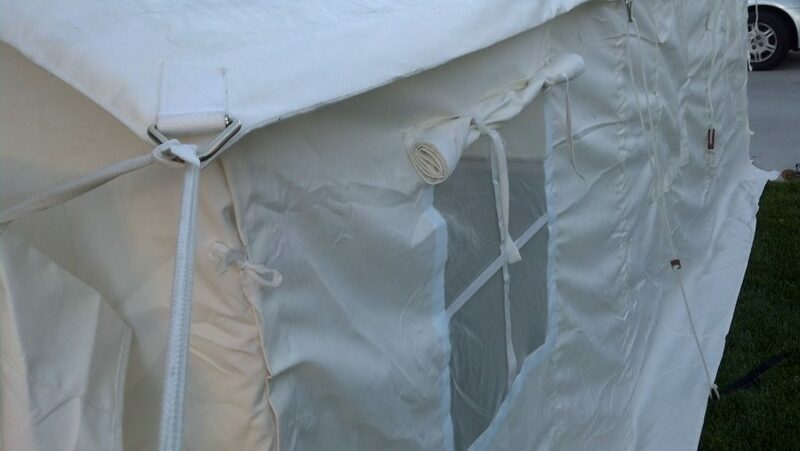 I would highly suggest this tent to anybody looking to buy a wall tent. The company was also very good to deal with. I was also very pleased with the company’s customers service, I had a few questions prior to purchase and called the company and immediately spoke with the owner who answered all I’m questions. Purchased spring 2015. 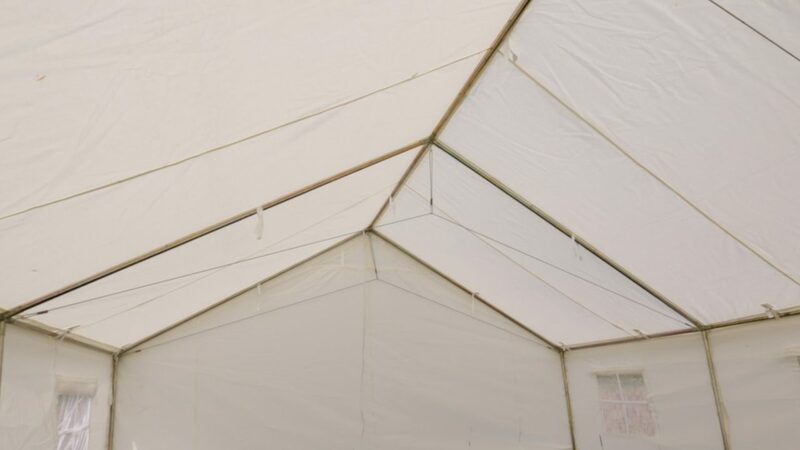 Looked at many tents with higher prices and kept coming back to this tent. Pleased with my choice. 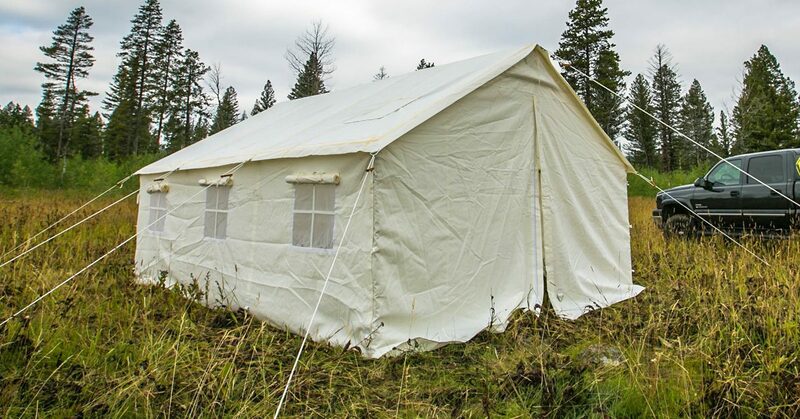 As with any wall tent you need to devote some time to set up. 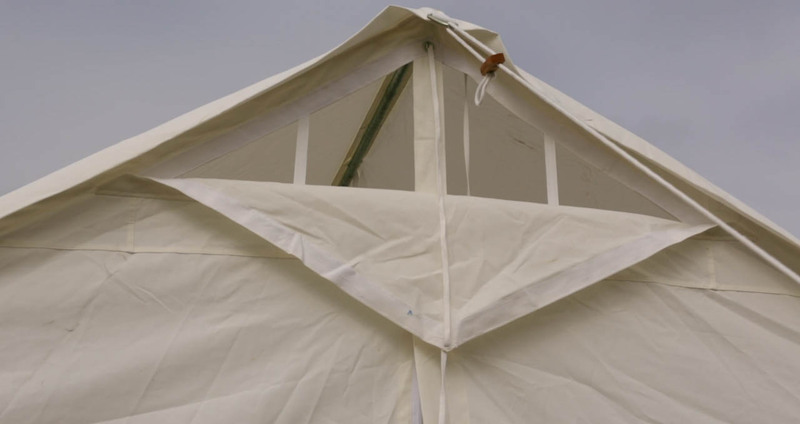 Have only set up with the conduit poles and angle kit and once the tent is up it is solid with the frame around the inside floor of the tent. Each time you set up and take down you will learn some tricks that make it easier each time. Best not to set up first time in the dark and cold, personal experience.